1. Open the engine hood and disconnect the negative (-) post of the battery. 2. Disconnect the power cord from the bulb. 3. 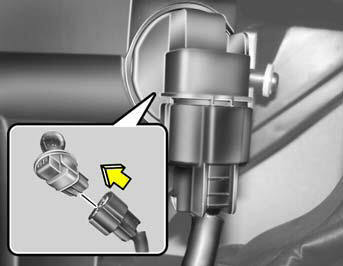 Take out the bulb from the bulb holder by turning it counterclockwise.